For dinner: pan-fried chicken with BBQ sauce and roasted chickpeas and Brussels sprouts. For the record, and for the sake of honesty, I must say that I have also consumed almost an entire box of Chocolate Lucky Charms in the last 24 hours. But anyway. I am slowly perfecting my pan-frying method. Sear first, then cook on low, covered. This week I learned that when chicken sticks to the pan, it is usually because the pan hasn't been properly heated. As it heats, the molecules of the pan start moving around, the way that molecules do. But once the pan reaches the ideal cooking temperature, they settle down and relax. (Like me sitting in a hot desert at a music festival, molecules too find relaxation at a certain intensity of heat.) So if the pan isn't hot enough yet, then proteins can get snagged by bustling molecules and chaos ensues. About that hot desert: I will be at my ideal cooking temperature at Sasquatch this weekend, so this blog won't be seeing any more action until Monday or Tuesday. 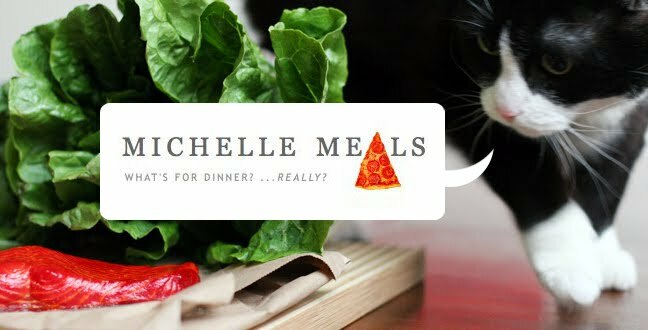 I like this "science of food" version of MichelleMeals.